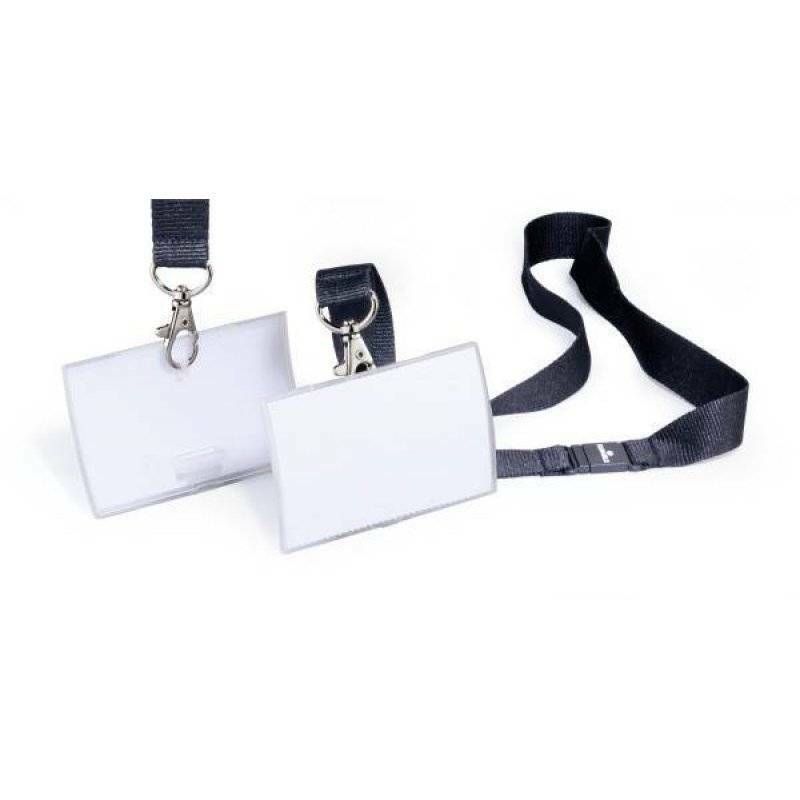 Folding name badge supplied complete with textile necklace and replaceable blank inserts. The front and back section of this one piece name badge are joined by a flexible hinge enabling quick and simple replacement of badge inserts. The safety release function on the 20mm wide textile necklace opens if it is pulled or caught. Fastening method: Textile badge necklace.